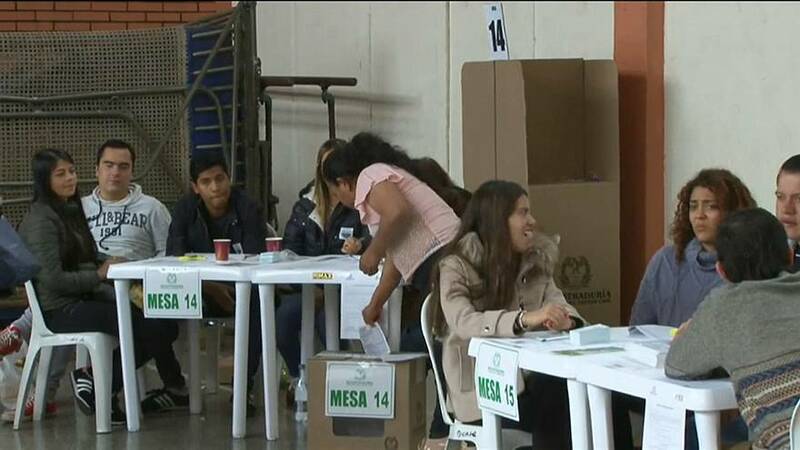 Voting has been taking place in Colombia to choose the country’s next president. Among the issues the two main candidates are focusing on is a controversial deal with FARC rebels, accusations of corruption and the economy. The poll is being held to replace former president, Juan Manuel Santos who won the Nobel Peace Prize – and international respect - in 2016 for negotiating the deal with the FARC rebels. He’d been in office for eight years. His two would-be successors could be more different from each other. Ivan Duque is seen as the pro-business, right of centre option but has no political experience. He’s threatening to rewrite the peace agreement and reinvestigate alleged by the group. In contrast there is Gustavo Petro, a left-wing former guerrilla who hopes to tackle huge inequality in Colombia and redistribute land. Whoever wins the election is likely to face a huge challenge in uniting a deeply divided country.